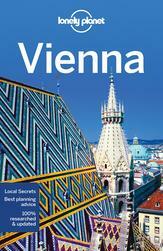 Lonely Planet Local Carly Hulls moved to Vienna in 2012 after she married her Austrian partner. The city bewitched her with its hidden heuriger (wine taverns), cosy coffee shops and laid-back outdoorsy lifestyle. But beyond the classical architecture and the famous concert halls, Carly fell for Vienna’s secrets: old factories converted into art galleries, pop-up indie stores, delicious brunch spots and the city’s great markets. When friends are in town… we always take a walk down the Ringstrasse to visit the highlights first. We duck into Volksgarten Pavillion for a coffee and views of the Hofburg Palace before ticking off Karlsplatz and the Rathaus. Then we head for the MuseumsQuartier and the hip 7th district where cool bars and indie clothes stores prove that Vienna isn’t just about classical music and old palaces. We round off the day with beers along the Donaukanal, a hip stretch of drinking dens and street art looking across to Kahlenberg hill. A typical weekend involves… brunch at one of my favourite cafes – either Waldemar, Jausenstation Meierei or Das Augustin – or I try out the latest local hotspot. Then I hop on my bike to explore one of the creative districts in the city with my camera in hand. Sometimes I cycle to an outdoor nature reserve like Steinhofgründe or Lainzer Tiergarten, but if the weather is rubbish you can’t beat cosying up with a book in a classic cafe like Cafe Sperl. For a night out on the town… I have a few cocktails at Miranda Bar then head to U4 for silly dancing with the girls. It hosts 1980s, hip hop, rock and techno nights. Bettel-Alm, a multi-storey student bar, can be relied upon for a boogie too. The DJs mainly spin chart-friendly tunes. For something a little more refined, I head to hip hop club Vie I Pee or Volksgarten ClubDiskotek in the heart of the city. For my 30th birthday… I took advantage of the summer weather and celebrated at Mayer am Nussberg, a large open-air heuriger on the outskirts of the city that overlooks Kahlenberg hill. The cute Heurigen Express train picks up passengers from the base of the vineyard-dotted hill and stops for tastings at each of the wineries en route. I remember sitting on a sun lounger with a glass of crisp fresh Grüner Veltliner and watching the sun set over the city itself. When I want to get out of the city… I hop on a regional train to one of the surrounding villages or cross the border into neighbouring Hungary or Slovakia. Austria’s Wachau wine region is nearby and the 11th-century Stift Melk abbey makes for a great day trip too. If I really want to treat myself though, I head to historic Salzburg. This gorgeous, fairy tale city is also only a two-hour train ride from Vienna. If I get on an early train (breakfast on ÖBB Railjet trains is fantastic) I can enjoy a full day exploring. It’s surprising how very different the mountain cities can be to the capital. One thing I love about the city is… how unexpectedly exciting and understated it is. I can reliably bet that every weekend there will be some kind of free festival, an interactive art exhibit, a street parade or a screening of a world-first sporting event. Vienna doesn’t make a big fuss about its great quality of life – it’s just an accepted part of being in the world’s most liveable city. Even after several years here, I am always discovering new squares, funky districts or incredible new stores. Vienna is a city full of surprises, you just need to be willing to scratch beneath the surface. For cheap eats… I always head to the food markets for a mix of cafes, delis, fresh food and organic produce. Beyond the popular Naschmarkt, my favourite spot is Brunnenmarkt am Yppenplatz. It’s cheaper and has a more Mediterranean mix of produce and restaurants. Karmelitermarkt is another prized spot. It’s nestled in the traditionally Jewish quarter and it has unbeatable views of the glorious architecture on the other side of the river. The people of Vienna are… normally thought of as grumpy and unwelcoming, but it’s so untrue! What most visitors don’t realise is that locals embrace a slow-living lifestyle. The waiter won’t come to you the minute you walk into a cafe because he’s giving you time to sit down, relax and enjoy your surroundings. Viennese cafes are known as the living rooms of the city, so there is no rush to turn tables. If you click your fingers or wave at a waiter in Vienna, you’re basically doomed to never get served again. Viennese service may be slow, but it is utterly genuine. When you enter a cafe, you are entering the waiter’s realm. If you embrace the pace, eating can be one of the most immersive experiences you can have in the city. If you expect fast food-style service, you’ll be sorely disappointed. Baroque streetscapes and imperial palaces set the stage for artistic and musical masterpieces alongside vibrant epicurean and design scenes. What I hate about the city… is the slow pace of change for some laws – like banning smoking in venues. There are still plenty of bars and restaurants where smoking is still permitted indoors. While having a puff is seen as an intrinsic part of Austrian culture, it can also be straight up annoying when your hair and clothes reek after a night out. This is slowly changing and more popular venues like Dachboden and The Sign Lounge have banned smoking completely, but every so often you can still enter a bar and be enveloped in a haze of tobacco smoke. I know I’m Viennese because… I treasure the quiet of a Sunday afternoon when stores are closed and families spend the day outdoors hiking or eating in a beisl (pub-restaurant). I love returning to Vienna after visiting the big, bustling capitals of Europe because the city is so relaxed. With so many cycle paths and green areas to unwind in, there’s space here for everyone. I can always feel the shift in the air when I return to Vienna; the city breathes a relaxing sigh across my senses and tells me I’m home.